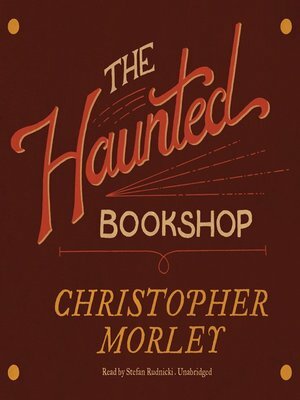 In 1917, Christopher Morley published Parnassus on Wheels, a love letter to the art of bookselling. Its suspenseful sequel, The Haunted Bookshop, finds his beloved characters married and still in love with both mystery and literature. Set in a lovingly evoked Brooklyn just after the end of World War I, The Haunted Bookshop cleverly juxtaposes a pair of middle-aged bookshop owners and two young lovers with a nest of German saboteurs, complete with mysterious clues, red herrings, blushing romance, derring-do, a desperate race to the rescue, and an explosion. More important, the novel is an eloquent hymn to the bookseller's trade and a fervent plea for the revivifying and redemptive power of literature. The unifying thread of this book, and indeed of the life and work of its author, is its passionate avowal: all that the world and everybody in it needs is a good book.